Stovetop popcorn can be customized with whatever toppings you would like or just enjoyed plain. Let's get to popping! Today I bring you the first day of a five day series. 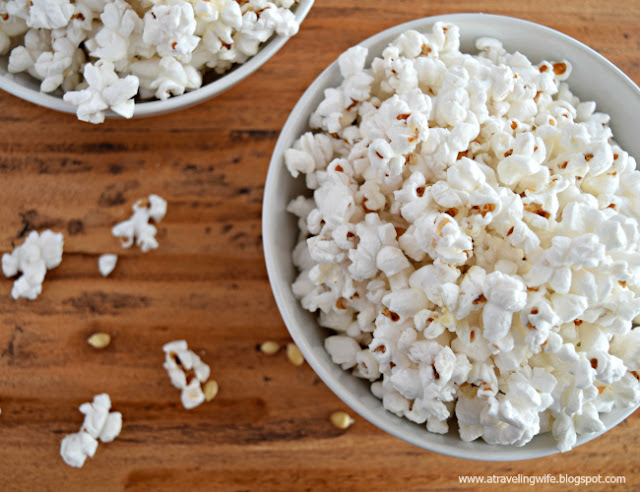 I'm a big fan of popcorn and understand that there are a million and one different flavors and ways of cooking popcorn - buttered, caramel corn, salted, mixed with tons of toppings, cooked in the microwave, etc. So join me this week for Five Days of Popcorn. But first, I have a confession to make. I'd never made popcorn from scratch until this year. Yes, 2016 was the year I finally bit the bullet! I thought it was extremely time consuming and I was afraid of setting off every fire alarm in my house with burnt popcorn. Guess what? It's not hard at all. In fact, it's beyond simple - requiring only two ingredients to get perfectly popped stovetop popcorn. Click to tweet: Stovetop popcorn is simple to make. After a little bit of trial and error, I found that 2:1 is the best ratio of popcorn kernels to oil for creating the best yield of popcorn with a perfect flavor. 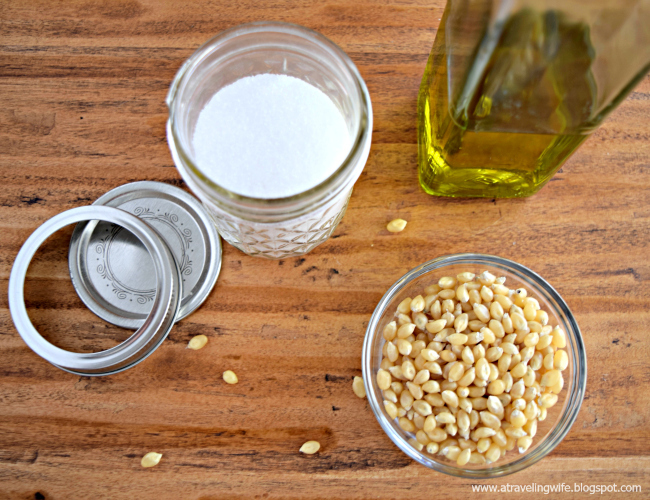 For a very large two serving bowl of popcorn, I will use 5 tablespoons of popcorn kernels to 2 1/2 tablespoons oil. You can now adjust your servings accordingly without being discouraged by trying to figure out the perfect measurements. I've also experimented with all types of oils - olive oil, vegetable oil, and coconut oil. I've found that olive oil works perfectly if you are creating a savory popcorn and coconut oil is great for sweeter flavors. But feel free to swap one oil for the other because they all work well. Now let's make some salted popcorn! In a large (3 qt or larger) saucepan, heat oil and 3-4 popcorn kernels over medium high heat and cover with lid. When 1-2 of the popcorn kernels pop, the oil has reached the perfect temperature. Add in remaining popcorn kernels and cover with lid, leaving slightly ajar to allow the steam to escape. Gently shake pan back and forth, heating up all the popcorn kernels. Once there is 3-5 seconds between pops, remove from heat. Pour fresh popcorn into a large bowl and top with sea salt, adding melted butter if desired. 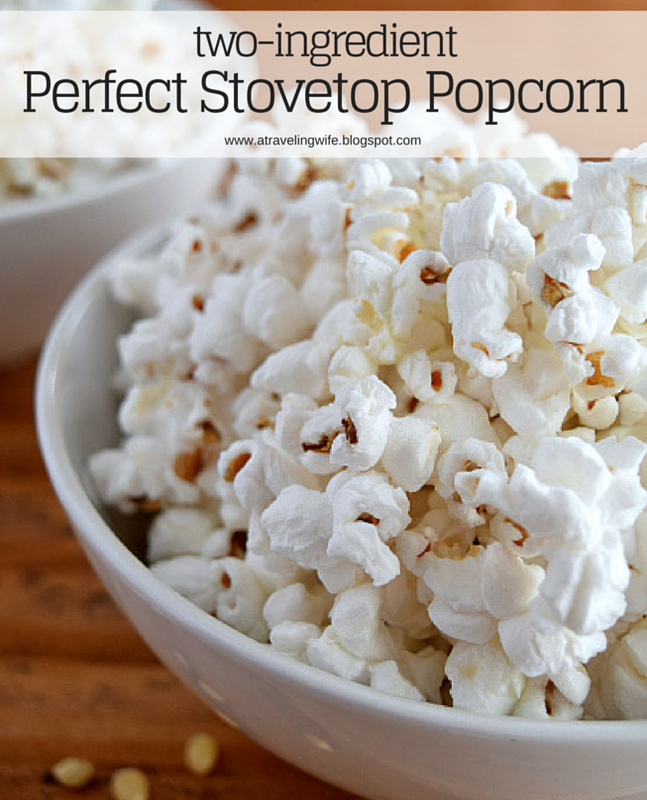 Click to tweet: Perfect stovetop popcorn for two! Be sure to come back tomorrow for a uniquly flavored popcorn. You won't want to miss it! Have you tried to make homemade popcorn before?